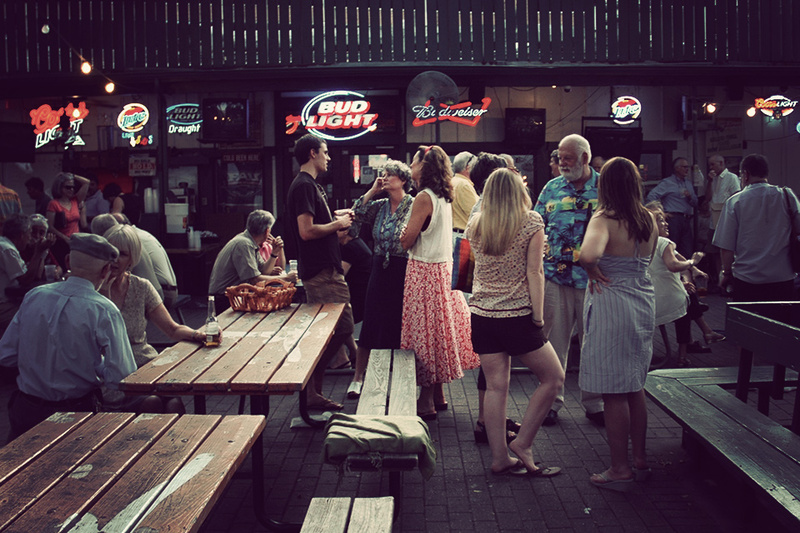 It's certainly not the newest or trendiest spot in Austin to grab a beer, but it is one of the most dependable. Founded by a German immigrant in 1866, Scholz Garten is a true German-style biergarten, with a large outdoor area, a stage that's frequently home to outstanding local performers, a varied menu that includes everything from German favorites to BBQ, and a healthy selection of draft beers, including a number of authentic Bavarian options. Or, as the Texas legislature put it in 1966, "a gathering place for Texans of discernment, taste, culture, erudition, epitomizing the finest tradition of magnificent German heritage." Yes, it's a chain hotel — but as anyone who's ever stayed at a W hotel can tell you, they rarely feel like one. 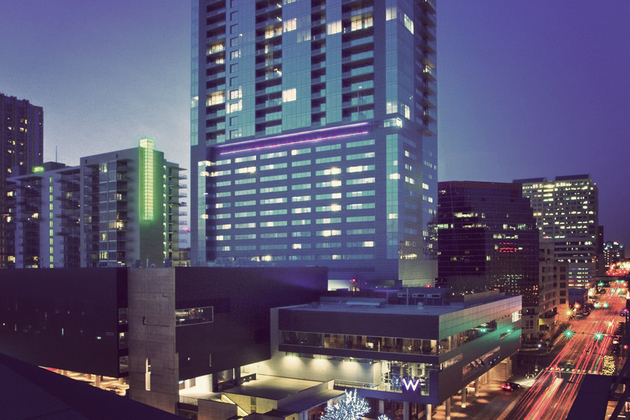 The W Austin is no exception. Blending disparate design elements to form a style all it's own, this downtown hotel offers 251 guest rooms — including several VIP suites of varying size and luxury, from "Fantastic" all the way up to "Extreme Wow". The grounds are also home to a fantastic fourth-floor pool with cabanas, a bar, and a fireplace, the obligatory fitness center, a spa, Trace restaurant serving food from surrounding farms, and The Living Room bar that features four distinct areas: a tequila bar, a record room with over 8,000 vinyl selections and a McIntosh stereo system, a red-hued secret bar, and a screened porch. It might be worth the trip all by itself. 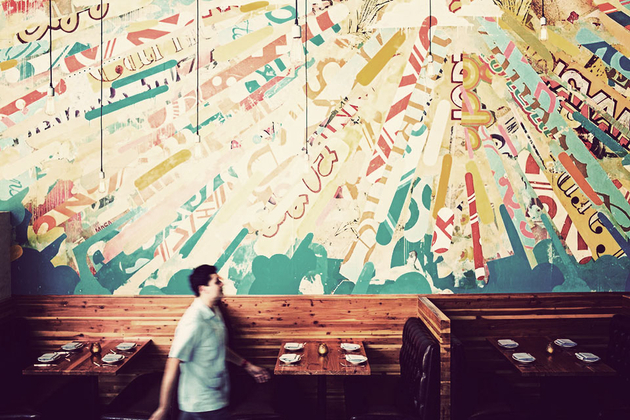 What makes the Modern Mexican fare at La Condesa "modern"? Is it the clean decor of the restaurant? The neat silverware and serving plates? Or the flavors? Well, we'd say a bit of all three — but with a definite emphasis on the latter. On the menu at this energetic Downtown spot, you'll find a selection of salsas and guacamoles, salads, soups, ceviches, tostadas, tacos, and platters that go beyond traditional fare to incorporate ingredients like grapefruit, eggplant, fennel, Texas redfish, and more. The drink menu is equally as impressive, with a number of classic and signature cocktails listed alongside a large selection of tequilas and mezcals and a modest — but well-curated list of beers and wines. At most markets, you're lucky to find a handful of stands offering interesting handmade goods. 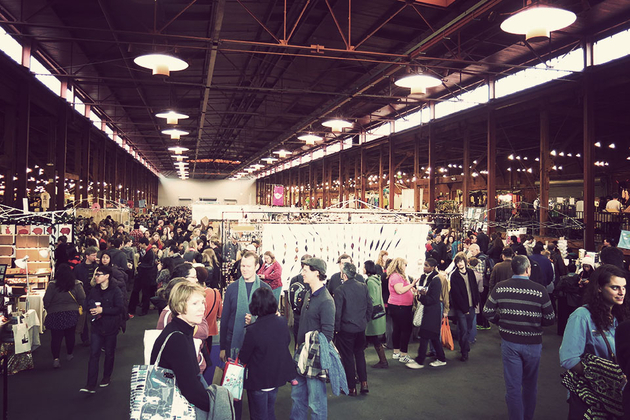 At the Renegade Craft Fair, you'll find nothing but. Held every Summer and Winter in Austin, Brooklyn, Los Angeles, San Francisco, Chicago, and London — and with upcoming dates scheduled in all six cities — this curated independent craft marketplace features a huge array of goods from talented artisans, spanning everything from clothes and jewelry to furniture, lighting, and artwork. Food and drink will likely be on offer as well, so all you really need to bring is yourself — and your wallet. Every once in a while you run across a store with a name that perfectly describes what you'll find inside. 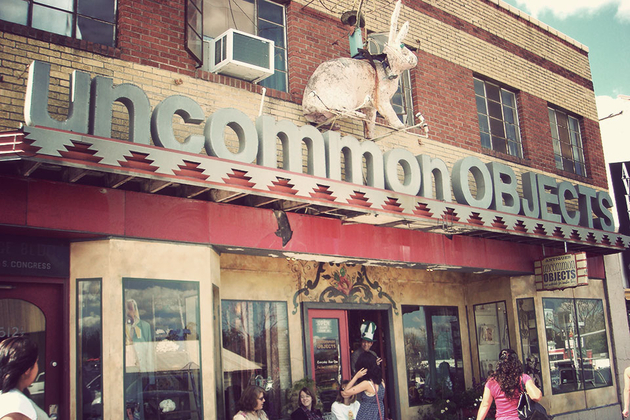 Uncommon Objects is one of those stores. This SoCo shop features a wide range of random items, so old, some not so old, but all of them intriguing. Happily, the disparate assortment of stuff is organized by theme, color, or type, so it's not quite as hard to find what you're looking for — assuming you're looking for something specific in the first place — and if you're not, it makes the place look better, anyway. 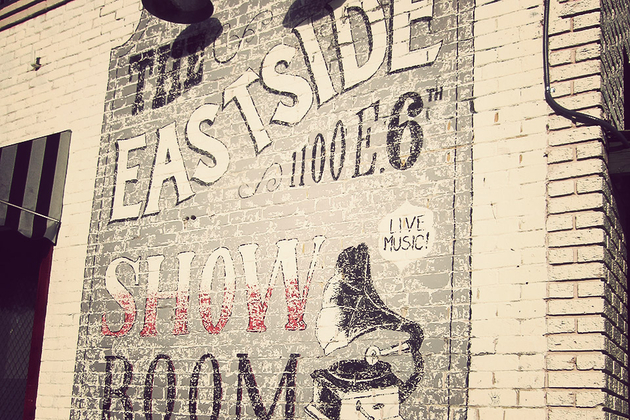 From old license plates to taxidermy, you're bound to find something you want. 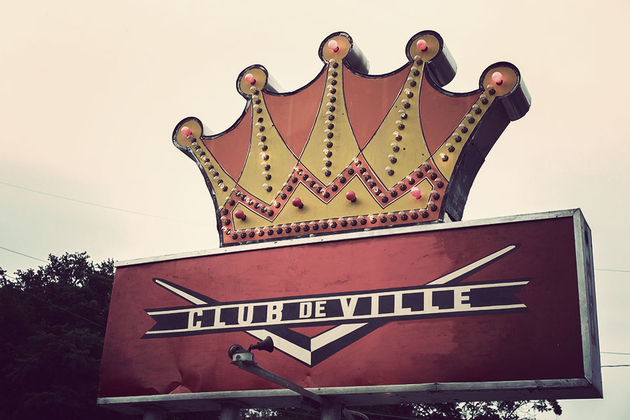 Austin has more than its share of places to catch live music, but if you're looking to listen outdoors, it's hard to beat Club de Ville. Opened over 100 years ago, the bar features an interior with all the dim lighting you'd expect from a place its age, as well as huge beers and classic cocktails. But the real magic happens on the enormous patio, which lies underneath a limestone cliff that creates a dramatic backdrop for all those who step on stage. Just be sure to check their Facebook page if you're looking for an upcoming show, as the website is a little hit-or-miss. If you like sugary sweets, a trip to the candy shop is exciting enough. 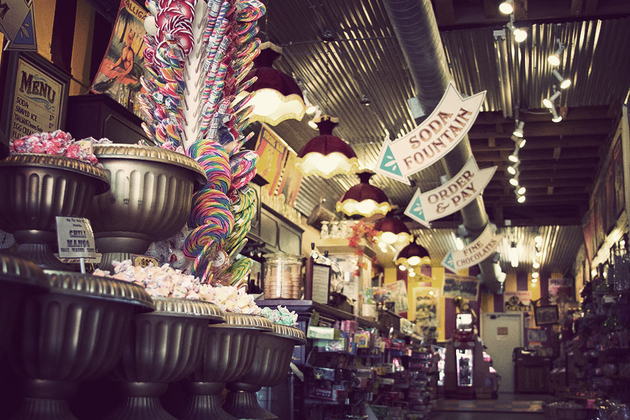 But add in circus/carnival theming and ice cream, and you've got something more than just a candy store. You've got the Big Top Candy Shop. 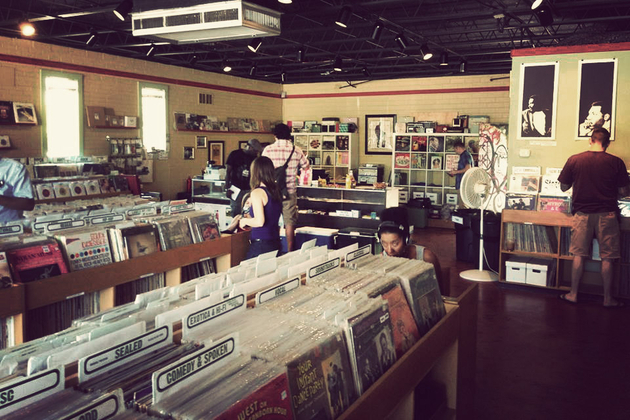 This South Congress business has quickly become a local favorite thanks to its fun atmosphere, old-fashioned soda fountain, and epic selection of candy that runs the gamut from modern treats and rare imported sweets to an entire section dedicated to nostalgic candies meant to take us back one bite at a time. 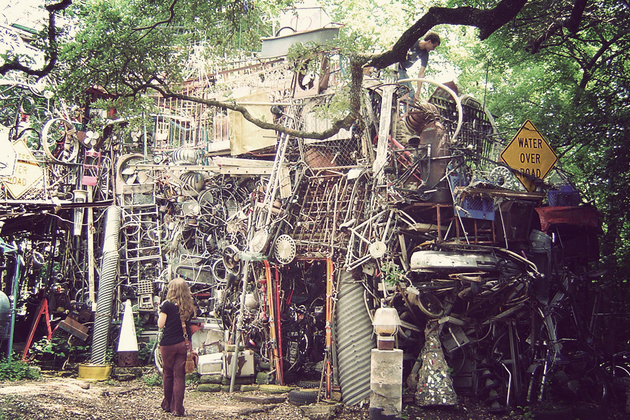 Most people know of Austin's de facto "Keep Austin Weird" motto, and few places try harder to do so than the Cathedral of Junk. Located south of downtown in West Congress, this one-of-a-kind attraction was built by local artist Vince Hannemann, who started work on it in 1998 and estimates that it now contains over 60 tons of junk. It's easy to gawk at from the outside, but to get the full experience you need to climb up in it — via a bike tire ladder — and explore. If you're wanting to visit, you might want to hurry — it is a collection of junk, after all, and no matter its artistic value, the surrounding neighbors aren't the most supportive of the endeavor. There are tons of great places to eat in the Texan capital, but if you're looking to cook up your own meals, you should consider starting your preparations at Salt & Time. 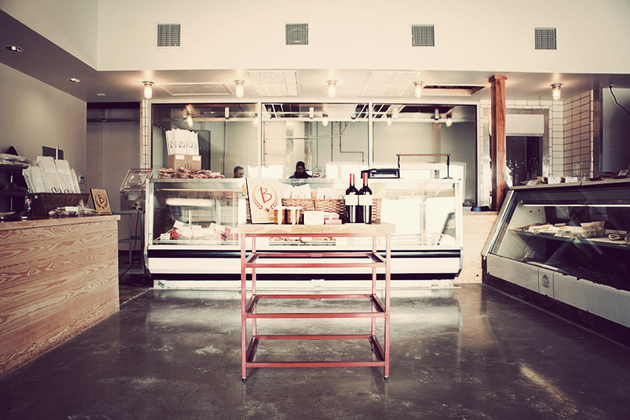 This full service butcher shop offers freshly-cut meats from sustainable Texas ranches, as well as a solid selection of house-made sausages, salumi, and charcuterie. 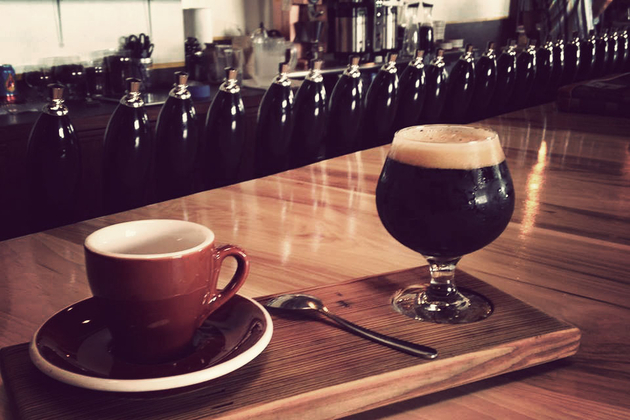 Fine foods, beer, and wine are also available, as are short menus of lunch selections (Tues.-Sat. ), dinner offerings (Thurs.-Sat. ), and brunch (Sunday). Need to hone your own skills? They also offer classes on a regular basis covering basic butchery techniques.